Today’s database administration solutions help to improve DBA productivity while simplifying repetitive administrative tasks, helping to locate and alleviate performance bottlenecks, and optimizing code. Businesses are utlizing highly complex, data environments with multiple data platforms across physical data centers and the cloud, managing systems and processes manually is no longer sufficient. What is needed is the ability to manage and monitor business-critical assets with automated precision. The ability to help streamline processes and decrease the risk associated with database administration tasks such as change management, patch deployment, and version upgrades, means that overburdened DBAs and data professionals can be assured that their systems are working at the highest level at all times and that they will be able to catch potential problems before they bring down the performance of databases and related applications. According to a recent study conducted by Unisphere Research and sponsored by Quest Software that examines the challenges being faced by database administrators (DBAs) and other data professionals, Although database performance continues to be the number-one priority for these data professionals, database management tools have helped to reduce the time some DBAs must invest in some routine operations, allowing them to better manage these larger roles and responsibilities. By reducing the time that DBAs must commit to routine tasks, automation can offer DBAs the opportunity to expand the scope of their roles to include applications. Navicat is adding a new member to the Navicat family—Navicat for MongoDB. 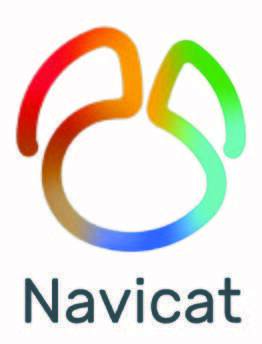 With Navicat Premium Version 12.1, you can now access up to 7 databases within a single application: MySQL, MariaDB, MongoDB, SQL Server, SQLite, Oracle and PostgreSQL, enabling quick and easy access to all your databases all at once. Read on.